Our hound videos have been sold out and are no longer available. SWhounds takes you for an hour long tour of Arizona, Utah and New Mexico following the hounds bawl. We start out on a release bear in Arizona. He is BIG. Next we go to New Mexico with 12 year old Drew Herrick for a harvest hunt. 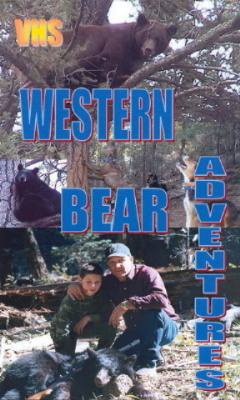 Then we travel to Utah for some catch and release, 6 bears total. The last segement of the hunt is filmed in New Mexico. We harvest 3 and let a really good one go. You will see him back down the tree and scamper off. Come along with our crew for some intense bear action following some of the finest hounds in the West. Come follow the hounds with Brent McGhie and friends as they travel the west chasing mountain lions. 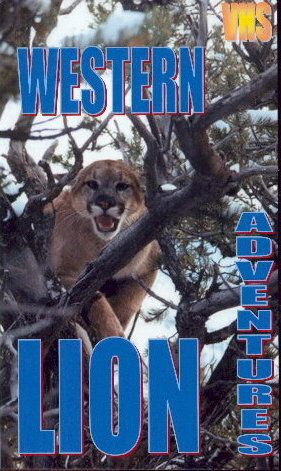 Western Lion Adventures has selected 2 hours of the best video footage from the last six years. You will see forty lions treed and one large tom harvested. "Catch, Photograph and Release" is the rule for this video. Come sit in the front seat as lion tracks are found, trail dogs are unleashed and fair chase ensues until the lions climb. This video is loaded with never before published footage of lions jumping, growling, and fighting dogs. Youll see tree climbing hounds, angry lions and the battles that take place. You'll be on the edge of your seat as three veteran hounds trail a lion down into a dark mineshaft. Come with us into the rugged backcountry as two seasoned lion hounds and a pack of excited pups face off against a large tom lion bayed in the steep mountain ledges. This is a must see video for all sportsmen.